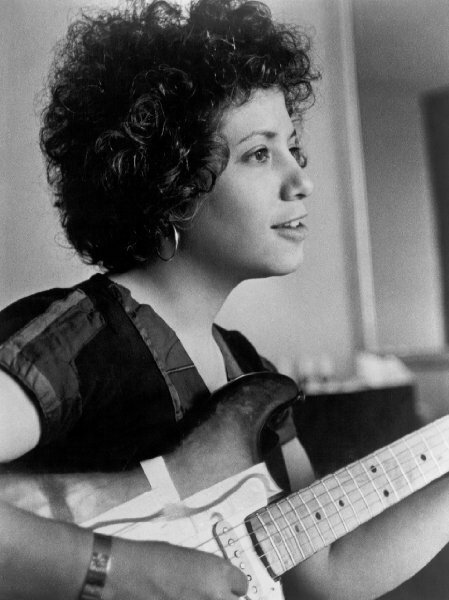 Janis Ian achieved national prominence at an incredibly early age. At the age of 13, she wrote Society’s Child, a song about a romance between a white girl and a black boy (and more specifically about the hypocrisy of teachers and parents who put a stop to it without ever quite coming out and saying why, and the narrator’s failed attempt to defy their wishes). Released several times between 1965 and 1967, the song was eventually a substantial hit, despite resistance from radio programmers in many markets. A lot of this had to do with Leonard Bernstein and his producer, who, impressed with the song, featured it in his CBS special, Inside Pop: The Rock Revolution (the same show that also featured an early version of Brian Wilson’s Surf’s Up). Society’s Child is an honourable song, impressively written for someone so young, but it pales when set beside the best of her work from the mid-1970s, by which point she was a different songwriter entirely. Between the Lines (1975, 1.9m sold in the US, Billboard #1) was the high point, containing both At Seventeen and the astonishing Water Colors. As enduringly poignant as At Seventeen is, Water Colors cuts deeper still. Rich with detail, heavy with sadness and regret, and possessed of a centre of completely still self-confidence, this is the work of a singer and songwriter at the top of her game. The arrangement is, likewise, considered and perfectly executed (I like the subtle nods to Bookends-era Simon & Garfunkel: the descending sequence into the first verse echoes the chord sequence to America, the string arrangement in the second verse seems to quote Old Friends and the bridge, with its shift to Cmaj7 (the song is in D) again recalls America. But while its musically enthralling (with a magnificent performance from double bassist Richard Davis, who played with such diverse jazz players as Charles Mingus, Cal Tjader and Elvin Jones), what’s most striking for me is Ian’s willingness to portray herself as behaving poorly in one of her own songs, but not with any irony towards or distance from her from her creation. Or, if one reads the song as not autobiographical, to do so knowing that’s how it would probably be heard. In the song, Ian’s lover, aware of his own jealousy and finding it hard to be apart from his famous girlfriend while she tours, tries to end things between them. His words go beyond regretful into reproachful (his allusion to “stagehand lovers” suggests that she’s already strayed, but that may be his own paranoia). Despite his passive agression, the character is not drawn unsympathetically. The narrator, though, escalates things with a melodramatic outburst (“I said, ‘Do you wish me dead’?”) and a mean-spirited questioning of his masculinity, in which he is accused of riding her coattails. However one interprets the events, it’s fair to say that neither is guiltless and it’s a braver portrait of the artist than just about any other songwriter has ever managed, with characters so acutely drawn that I feel like I know these people from one 5-minute song. Between the Lines, in fairness, doesn’t contain anything else as good as Water Colors, but this is the kind of song that a writer can spend a whole career trying to match without success. It is no crime to achieve perfection only once. *It’s a measure of the lyric’s quality that a different reading is very possible, in which the narrator’s anger is justified by her lover’s passive aggression. Certainly it’s fair to say that neither is guiltless in the episode the song relates. This entry was posted in Music and tagged 1970s, acoustic guitar, America, At Seventeen, audio engineering, Between the Lines, Billboard CHrt, Bookends, Brian Wilson, Cal Tjader, CBS, Charles Mingus, double bass, Elvin Jones, Inside Pop: The Rock Revolution, Janis Ian, Leonard Bernstein, Old Friends, record production, records that sound great!, Richard Davis., Society's Child, Surf's Up, that seventies sound, Water Colors on March 27, 2015 by rossjpalmer.